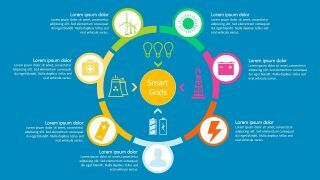 The Smart Grid PowerPoint Template is a set of concept diagrams illustrating an electricity distribution technology. The PowerPoint contains 3 slides of circular diagram designs with core element i.e. 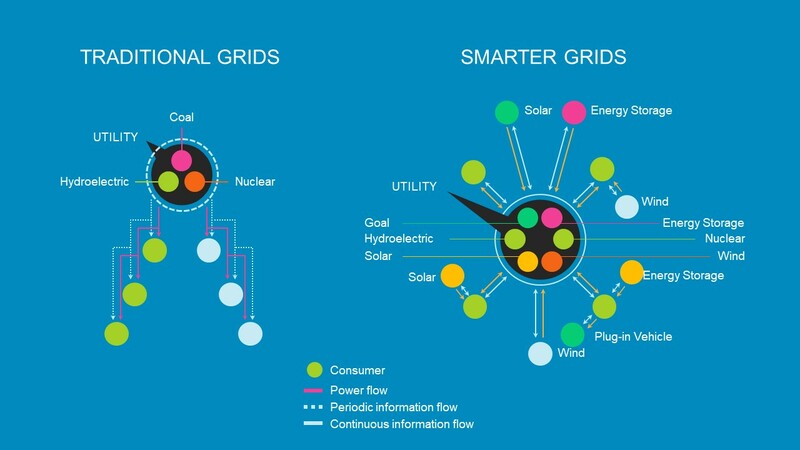 smart grid. 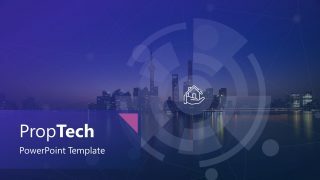 This template is suitable for presenting electronic networks, smart devices, connectivity, and grid management. Therefore, engineering experts, students, teachers can create a professional layout of power and energy topics. The electric grid is an interconnected network to energy producers and consumers. These include power plants, transmission lines, and distribution lines. While the smart grid refers to an improved architecture of power distribution system. 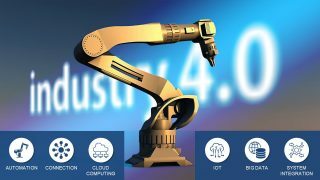 It includes monitoring, analysis and communication capabilities to the electrical delivery system. The goal is to maximize production and reduce consumption. 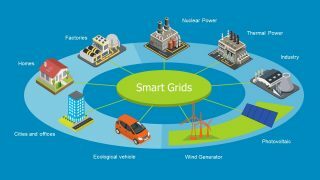 The Smart Grid PowerPoint Template shows comparison of traditional electric grid and smart grid in first slides. This template is helpful in explaining benefit of digitization over the elementary supply system. 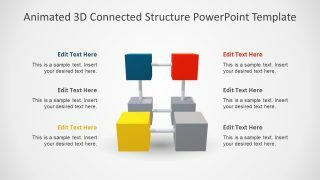 It is an editable slide of simple PowerPoint shapes demonstrating energy resources and utilities. Also, it contains set of icons representing different elements of diagram. Such as green circle to represent consumer segment and pink line to show process flow. 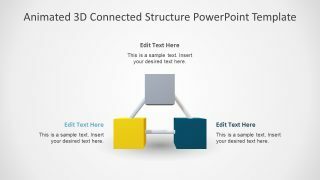 The PowerPoint template of Smart Grid assist the users to explain the advantages of modern technology approach. 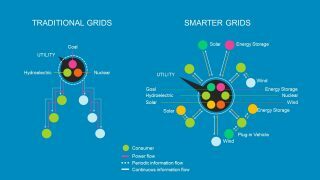 The slides of smart grid template provide high-quality graphics to represent various terms. For instance, clipart icons to represent network of both electricity producing plants and consumers. Such as the image of house, office building, wind-mill, industry, factory, thermal, and nuclear power, etc. Further, the third slide shows circular infographic icons for several types of renewable energy resources. Hence, this PowerPoint presents all the electric power resources, types and uses as a part of smart grid. This presentation template for PowerPoint on Energy could also be perfect for illustrating virtual power plants, smart homes, and appliances. Especially the smart appliances which can communicate and optimize the use of energy.